As one of the most recognizable voices in Punjab music of the past three years, Amrinder Gill delivers yet smooth mix of delicate folk-rooted songs and up-tempo dance tunes using the extraordinary productions skills of ‘The Music Man’ Sukshinder Shinda. Born and raised in village Boorchand Amritsar, Punjab, Amrinder Gill has become a firm favorite with the new generation of Punjabi music fans with his laid back style, up-market video and catchy Punjabi pop tracks, while having a hold over Desi lovers with his range of emotional songs. His breakthrough track “Paigam” established him a voice of the future and he has since gone from strength to strength with hits like “Daru”, “Madhaania”, “Khedan De Din” with Sunidhi Chauhan, and the colossal hits “Mail Kara de ” and “Dildarian”. 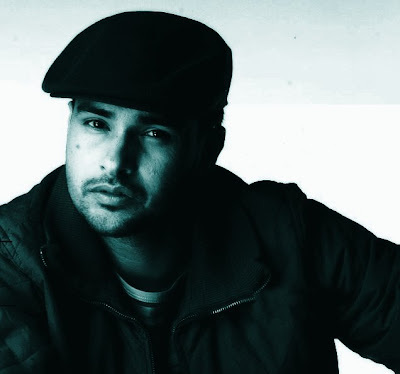 As a self tough vocalist with postproduction, Amrinder Gill’s rise to fame is unique in that he had no direct musical influence during his upbringing. This 9 tracker follows on from “Dildarian” and filled with lyrics that are delivered with raw, uninhibited emotion and surrounded by tight musical arrangements. His lyrical honestly in dealing with painful emotions is refreshing while his instantly warming vocals on the upbeat songs are tempting. The unison with ‘The Music Man’ will prove to be another lethal combination of passionate vocals and dynamic musical moods. Amrinder Gill is equally at home on a stage in the villages of the Punjab to the slick music videos made for music TV. u r the best of all..your voice is mind blowing..i am the bigest bigest and bigest fan of yours..
heyy wats up. i am sunny gill. i love you so much and ur songz. the yrock like u do. My uncle knows ur best friend. Guess wat ma cuz was sitten right in front of you when she was in the plane coming from india and back to america u kn. she told me she was listening to u tlk. myself aman randhawa...ur voice is really gud. gud wishes for ur film "munde uk de"..
hi iam really crazy about him. ur really very smart &good looking im crazy 4 u .want 2 meet u once in my . hi bhaji, ur really smart & goodlooking.im crazy 4 u.want 2 meet u once in my life.want 2 invite u on my marriage.bless u.
tere vrge jammde ne kade-kade..
A salute 2 u 4m the core of my heart!! HIIIIIIIIIIIIIII I LIK UR VOICE AMRINDER.I LOVE UR LOOKS I LOVE UR STYLE. U R THE BST! I LOVE YOU AMRINDER GILL!!!!!!!!!! A.gill ji u r gorgeus. from Vancouver. Have to have been here since background of at least 2 songs here. I am non-Indian, British Canadian, but like you music, keep coming back to it. You would be popular anywhere. Ssa amrinder i m the biggest fan of yours i heard all your songs frm the album 1st and waiting for your upcoming album Dooriyan just keep up the same perfomance and plz let me knw abut ur bday,I wish j mein kadi thonu face to face dekh sakan aa meri life ddi 1st prefrence aa so wish me luck. god Bless to u and ur family just take care. amrinder should work in another movie as like Munde Uk De. I loved that movie especially cause amrinder was in it. Ur the best singer! ur the great singer ever born in the world. keep it up. hi amrinder iam fan of your voice.you xpress your feelings in your song.you are very good looking and smart.your acting is also not bad.i had visited your village boorchand many times. actually i belongs to ferozepur. just wnt to say 'mel kra de rabba amrindr ji de naal' . Man u r realy rockng n gud looking. Grt voice cool looks. May god bless n fulfil ur al wishes. from singapore,i'm crazy about u.3 weeks ago i came from india.i watched a film of yours ik kudi punjab di.it's a hit film.i love the songs and love u 2.
i am a biggest fan of you.your dressing style,hair style is marvellous.my first and last wish is to meet with you in my life. Ur very very very very very very very very very.....quite. you are the best best best best best......person.Tusi mere favourite singer ho.tuhadi awaz bahut vadia hai. kite ishq na ho jave DIL darda rehinda hai par tainu milne nu DIL karda rehinda hai. tusi bahut handsome ho AND tusi bahut sweet v ho. Hey Amrinder u r Awesome ur Voice is also nice keep rocking..
mainu tusi bahut hi change lagde ho. sachi i really like you. I Love You. Hi dis is ur one of d fan frm New York..
Bye veer till den take care..
hi ammi ur roking man u know i realy like ur songs............. i wanna meet u plz ..
amrinder ji ki haal chal ne. tohadi new album de gaane bahut vadhiya hai. bs mujhe is hausle ko aajmana nhi aata. Ye dil ki baat hum dil main hi chupa lete hain. hello sir u r my fav.singer and u r so sweet.u r rockstar. Amrinder gill ji i like u. Please eis id te tusi v kush send karo. PLEASE GILLJI AGAR APNI LAAJ BACHANI AA TE JUDAA SONG DI VIDEO CHANGE KAR DO.SAARE JADON THODA ISS SONG KARAN MAZAK BANANDE AA TE MAINU BAHUT BURA LAGDA. u r damn good.....keep rockin!!!! sweety,facebook te taan likheya k movie april chh aa rahi aa.but film awards vich tan june likheya hoya si .if it is april then start promotion fast.jatt and juliet ton tan apni movie nu door rakhna ,if u want success.ALWAYS LIKE U......................JAAN. hey Mr. blogspot wallo hun 3:12 pm hue hain na k 1:40 am jo tusi mere comment niche likhe aaa.Please check it now. phir se time galat likh rahe ho . Dear Koi Gall Nahi, Eh US. Da Time Haiga... We Understand it! i am gurpreet amrinder ji tusi best o.tada jasa is dunya koi ni.ma tade but vadiiiiiiiiiiiiiiiiiiiii fan aa.u r best in the world amrinder ji.u r bestest,handsome,cutest nd smartest person in the world.i like u varyyyyyyyyyy mucccchhh amrinder ji. every song hits.ma tanu pasand kardi si kardi ay ta kardi rava gi. i loveeeeeeeeeeeee u amrinder ji.i love u like-i love my life.ta tade new judaa album da ta pucho i na.it is just awesomeeeeeeeeee. like you amrinder ji.menu tada ki samjhaiye ta yaariyan song but pasand aa.i hear it 20 times a day they r fantastic.ur mari har ek notebook ur book ta tanu tada nam jrus desa ga.ma tanu but hi jada pasand karni ya.plz j tusi mare comment padey aa ta manu replay jrur karyo.ma hamasa tada replay da wait kara gi.even j tusi manu satshriyakal hi kay dayo.i justlike u alot amrinder ji. great singer and a great actor. tusi jo v karda o,o but vadya hunda aa.tade mummy ta daddy tada ta but proud feel kar da hon ga.
sachi u always hit amrinder ji.hade tu kadi v judaa na ho yo.plz replay jrur kar yo.menu jadu v sunday nu net chalan da moka milda ay ma sarayan tu phala tanu comment pajni ay.tusi pura world nu hila danda o. u always rock my hero nd singer amrinder ji.shayad kadi ta tusi mara comment paro ga.ta jadu v paro ga plz menu replay karyo. jada ni ta serf ena likh dayo-ki ma tara comment par la ya. First of all thank u Mr.Blogspot for informing me and Ok.gill ji kol tan time ni humda parran da, kam se kam tusi tan mera comment parr laya.Thanks. Hai gill ji movie di date decide kar li, and tusi apni birthdate apni blogspot biography vich kadon add karni aa,thonu meri kasam ajj hi birthdate add karo varna u know.............hate u.
kithe ho navya ji... tuhada message ni aaya, tusi facebook ni use karde? tussi sahi keh rahe ho anonymous ji. Amrinder gill ji teh kadi vi reply nayi karde. Amrinder ji love u so much. hai veer ,im sorry k main tohanu contact ni kita actually main bahut socheya then i came to the result k main apne parents nu cheat ni kar sakdi and now i m only 15 so this time is not to make any relation.main apni life vich kuchh ban na chandi aa aur main ni chandi k main emotions vich a k apna future spoil karran .i think thonu v apne time nu girls te waste ni karna chahida .u have to preserve this golden age.mere wallu all the best for ur future.I m going to canada .by....................sweatheart. comment read karan ton baad ok vagera kucch reply zaroor karna tan k mainu pata lag jave k tusi comment parr laya. hi mr.gill kade taan comment reply kar deya karo .tusi te kade v te kisse site te v comment reply nahi karde,gill saab fans nirash ho jaange! Mr.blogspot please update all pages relates to this website. oye blogspot walo ,i m navya.agar tusi veer da personal chatting wala comment delete kita hai,then main v is vich involve c mere v personal chatting wale all comments delete karo.don't b parshial!mainu kalli nu kyon badnaam kar rahe ho! Hey Amrinder gill wish u a very very HAPPY BIRTHDAY. HAPPY BIRTHDAY again Amrinder gill. I like u so much .thodi awaaz bahut hi sohni aa .Main taur mittran di movie dekh k aayi haan ,it is the best movie i had ever seen.MAY THIS BIRTHDAY BRINGS UR LIFE WITH HAPPINESS. HAPPY BIRTHDAY AMRINDER GILL again.agar main thodi taarif karan lag javan taan meri saari life beet jayegi.so in short i want to say that u r the best.